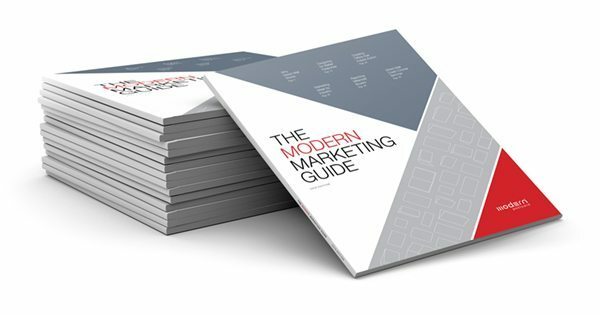 Download our FREE Modern Marketing Guide with over 50 pages of marketing education. Because the best way to improve your marketing skills is to learn as much as you can. Modern’s FREE Direct Marketing Guide is a marketing ebook that shares exclusive advice from our 25+ years of industry experience. Learn about our full list of high quality postcard and print products and details of our direct mail, mailing list, data append, and design services, which can all be tailored specifically to your business. In addition, we included copywriting tips, postcard design and layout advice, and Direct Mail ideas to help you become a better direct marketer. Plus, we showcase custom solutions to get you thinking about different ways print and direct mail can get you more leads and customers. Modern’s FREE Direct Marketing Guide is a great way to be introduced to Modern Postcard and our suite of products and services. If you have any questions, call us at 800.959.8365.